Prentis Solutions is a proven consultancy with consistent results and an endless passion driving us to provide competent services to all. We work to our mission statement which is to be the hands-on partner of choice, noticeably working to enhance regeneration, reduce unemployment and increase the quality of life within the United Kingdom. Prentis believes in continuously building the confidence and skills of all our candidates creating stronger work force for today and tomorrow. We positively work with clients and candidates in order to progress career paths, assisting candidates with advice in order to achieve higher goals. 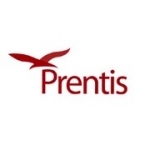 With each discipline, Prentis are able to supply staff at all levels ; from Volunteers, Trainees and Generic Clerical Staff to Specialist Officers, Team Leaders , Heads of Service, Directors and CEOs.